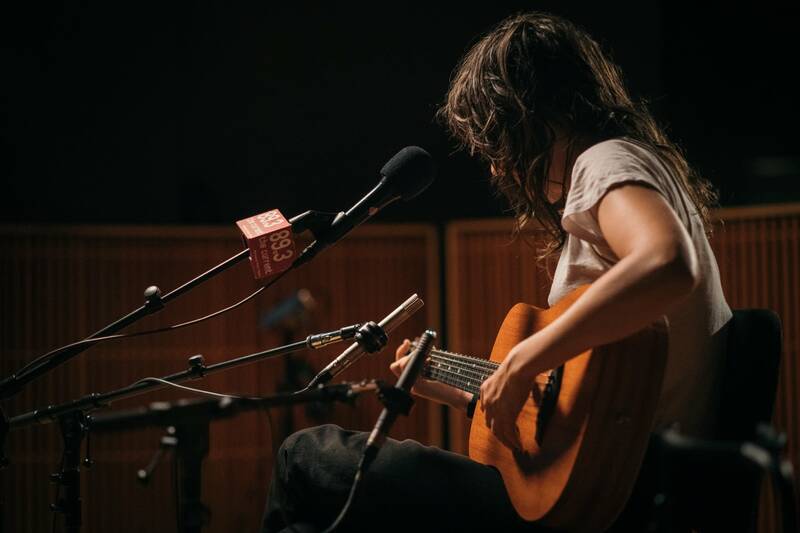 Courtney Barnett makes it look effortless. Preparing to record her fourth in-studio session at The Current, she takes her seat in the middle of the room, holding a three-quarters-size guitar. The lights shine low, and her voice rings out as she puts her fingers to the frets, picking out soft notes. She gives a slight nod: ready to go. Barnett is in town for a big show at Surly Brewing Field this weekend, featuring fellow rockers Julien Baker and Lucy Dacus as openers. 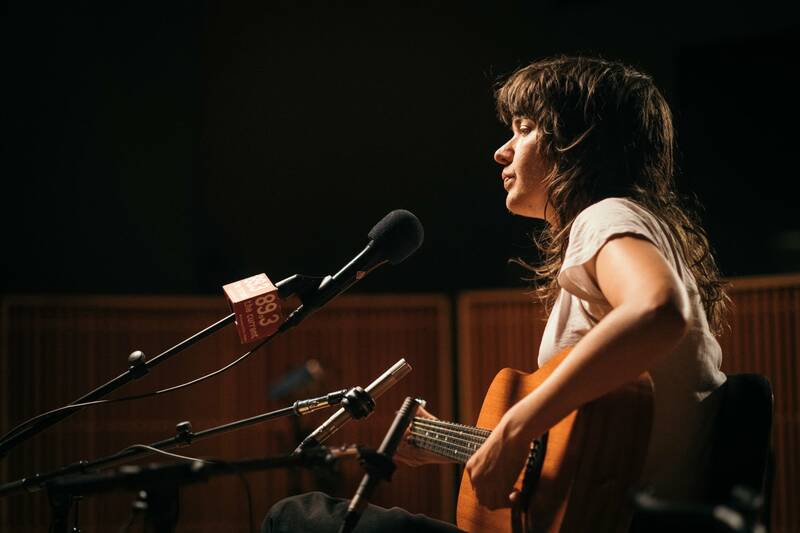 The last time she performed in the Twin Cities, she brought her friend and collaborator, Kurt Vile, to perform from their album Lotta Sea Lice at the Palace Theatre. This time, it's just her and the band touring behind her 2018 album Tell Me How You Really Feel. At The Current, she gives host Mac Wilson some insight into songs "Sunday Roast" and "City Looks Pretty." Regarding the former, she explains, she grew up eating dinner with her family every week. More recently, she and her friends have started taking turns as host, cooking and sitting down together to make space for support and companionship. Mac and Courtney also discuss songwriting, her collaboration with Kim and Kelley Deal, and the way that "Nameless, Faceless" continues to take on weight as acts of violence keep affecting women worldwide. It's a laid-back but powerful in-studio, and to hear the whole thing, you can use the audio player above. All songs from Courtney Barnett's 2018 album Tell Me How You Really Feel, available via Milk! 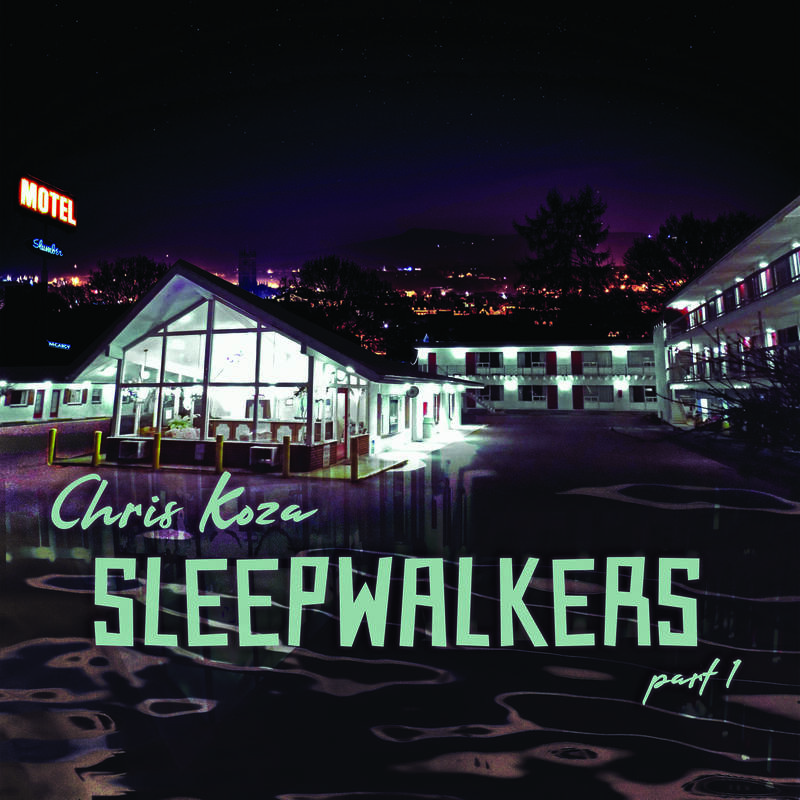 Records, Mom + Pop Music, and Marathon Artists. Album of the Week: Courtney Barnett, 'Tell Me How You Really Feel' The latest record from Courtney Barnett, 'Tell Me How You Really Feel' is out now on Mom + Pop records. 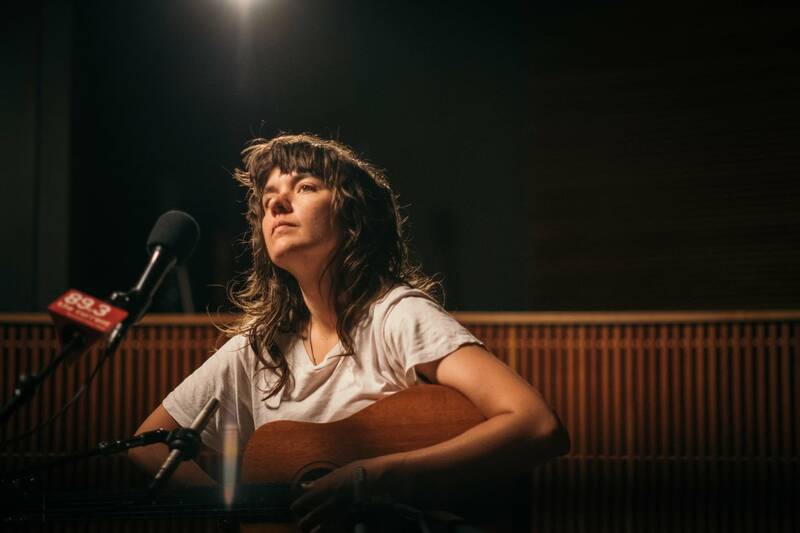 Kurt Vile and Courtney Barnett bring their friendship and music to The Current Having shared mutual friends, an overlapping touring schedule and shared musical interests, it seemed inevitable Courtney Barnett and Kurt Vile would become friends. 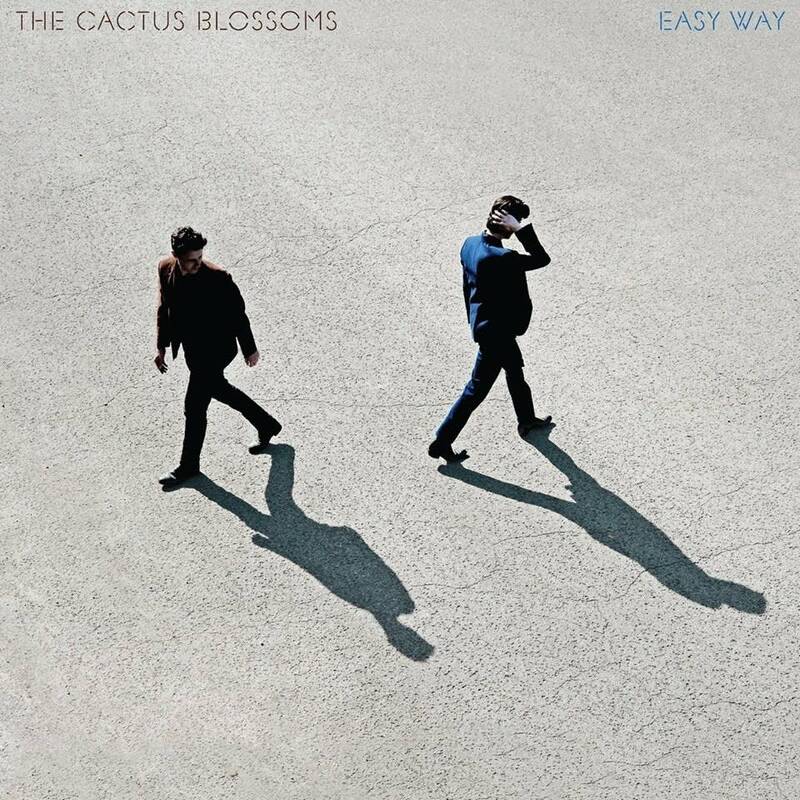 The friends quickly became musical collaborators, and their resulting album, 'Lotta Sea Lice,' is evidence of their productive cross-pollination. Ahead of a sold-out show at the Palace Theatre in St. Paul, Kurt and Courtney stopped at The Current for a session hosted by Jade. 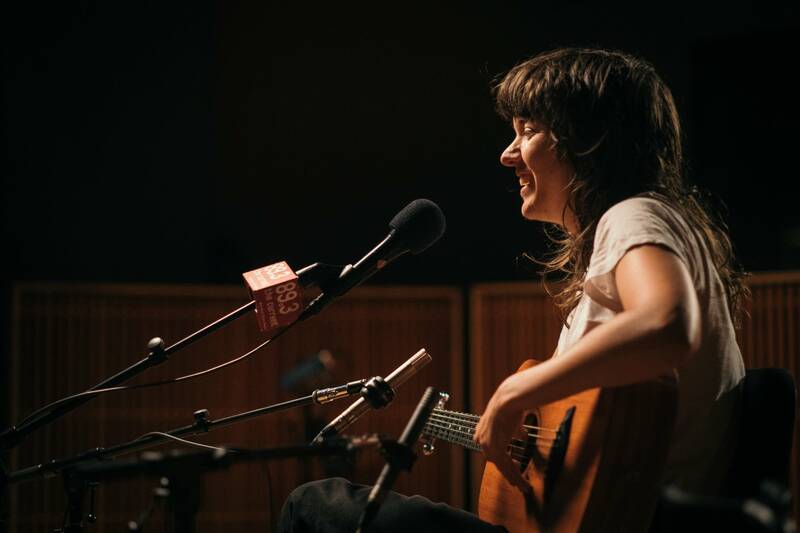 Courtney Barnett performs in The Current studio Melbourne may be half a world away from Minneapolis, but Courtney Barnett has found a loyal group of fans in the Twin Cities. 'From the first time we ever came here, I really did feel the love,' Barnett says, 'so thank you.' 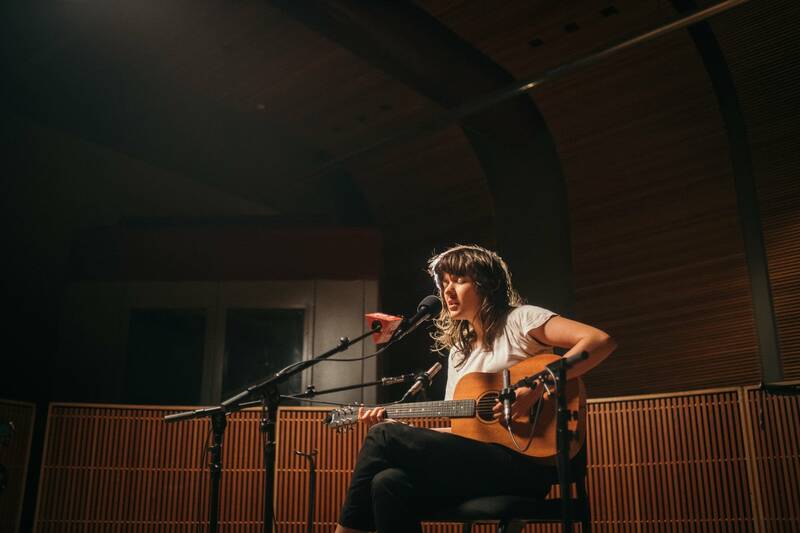 In the Twin Cities to play two sold-out shows at First Avenue, Courtney Barnett stopped at The Current studio for a session hosted by Brian Oake and Jill Riley. Courtney Barnett performs at Rock the Garden 2015 Between their all-black outfits, flying hair, and ceaseless fog machine, Courtney Barnett and her bandmates turned the intensity up to 11. Stream Courtney Barnett's Rock the Garden 2015 performance in its entirety.